"We observed a strong correlation between the degree of physiological hyperarousal and hypertension," said Xiangdong Tang M.D., Ph.D, co- author of the study and professor of sleep medicine at West China Hospital, Sichuan University in Chengdu, China. 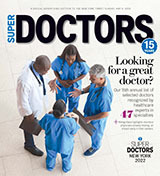 "In other words, those insomniacs who were hyperalert during the day and unable to relax and fall asleep during the Multiple Latency Sleep Test had the higher risk of hypertension," said study co-author Alexandros Vgontzas, M.D., professor of sleep research and treatment in the Department of Psychiatry at Pennsylvania State University College of Medicine in Hershey, Pennsylvania. The participants spent one night monitored in a sleep lab and took the MLST the next day. Monitoring included four 20-minute nap opportunities at two-hour intervals: 9 a.m., 11 a.m., 1 p.m. and 3 p.m. Half the participants took 14 minutes or less to fall asleep and half took more than 14 minutes to fall asleep. Those that took more than 14 minutes to fall asleep were considered "hyperaroused." Hypertension was based on blood pressure measures or a physician's diagnosis. Researchers controlled for confounding factors such as obesity, sleep apnea, diabetes, smoking, alcohol and caffeine use. "Long latency times to fall asleep during the day may be a reliable index of the physiological hyperarousal and biological severity of the disorder," Vgontzas said. Traditionally, insomnia has been perceived as a nighttime sleep disorder; however, several studies suggest it's a state of 24-hour hyperarousal. Feeling hyperalert or sleepy doesn't allow people to function at their best, feel well during the day or sleep well at night, Vgontzas said. "Although insomniacs complain of fatigue and tiredness during the day, their problem is that they cannot relax and that they are hyper," he said. "Measures that apply in sleep-deprived normal sleepers - napping, caffeine use or other stimulants to combat fatigue - do not apply in insomniacs. In fact, excessive caffeine worsens the hyperarousal."